Now I am blogging about Christmas!! A Christmas Magazine being featured in March?! Head over to Holiday with Matthew Mead to find out how you can win the opportunity to have your blog or online shop mentioned in the magazine. 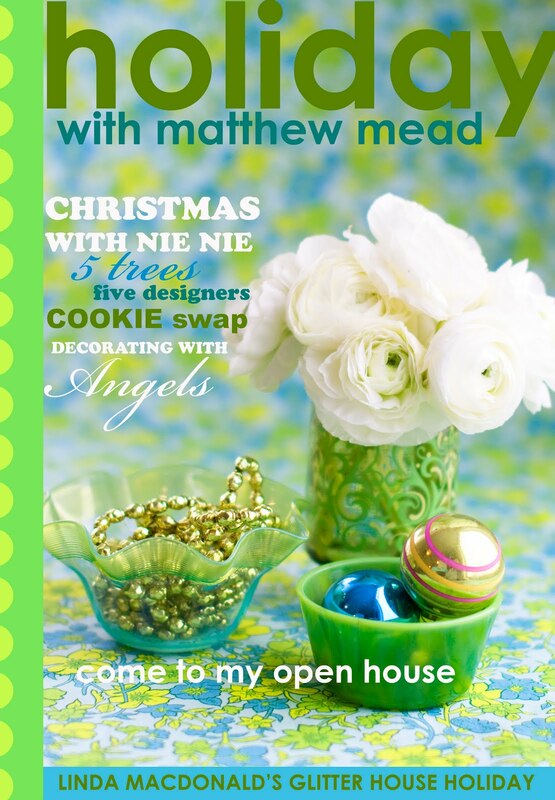 Holiday with Matthew Mead is a “book-azine” celebrating and offering inspiration for the Christmas holiday season. To be released in October 2010, Holiday is offered via online orders only – in limited quantities – and will not be sold on newsstands. But, by simply following the BUY HOLIDAY MAGAZINE link below their banner, you can reserve your own copy of this beautiful magazine, with guaranteed delivery of the magazine straight to your mailbox! Holiday with Matthew Mead is144 pages of holiday inspiration with well-known and admired designers, bloggers and top-notch features, printed on beautiful paper and not drowning in ads! Now, head on over for your chance to win! but this is entirely possible …. You haven’t seen my back porch yet! Wow that is early! I can’t be thinking about Christmas just yet, I’m afraid… I love Christmas, but not in spring! So do I get to see green walls tomorrow? Are we still on for GS? Can’t wait to see the results. Happy painting! Thanks so much for your comment the other day, and the follow. Hope you have room for a new follower over here. 😉 I am lovin’ all the green I am seeing!!! Love the green!!! Good luck with that. I hate painting 🙁 Very cool post about the magazine too! Ooo – can’t wait until you post your finished masterpiece, Jenn!